Would you like to enjoy a day snorkeling on the most famous part of the third largest barrier reef in the world? 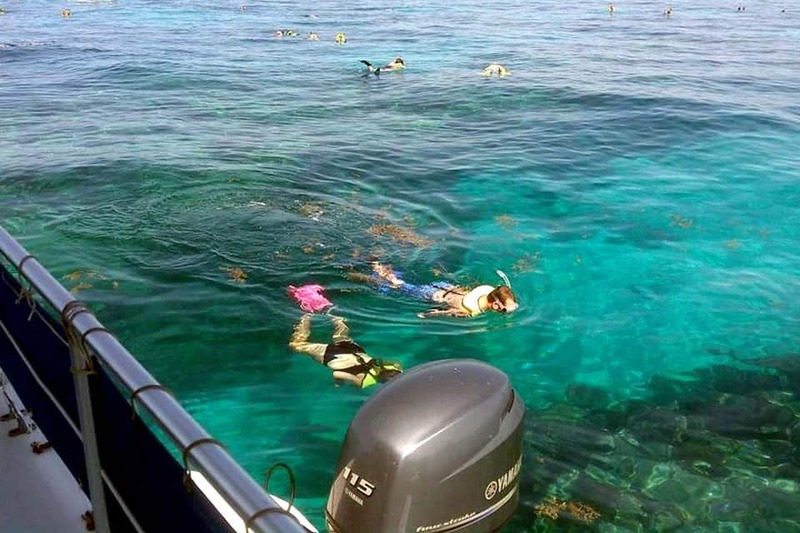 Join the fun and friendly crew at Starfish Marathon Snorkeling Tours for a day trip to magnificent Sombrero Reef, where you can enjoy a leisurely swim among the many fish and corals in a protected underwater paradise. We will make your Marathon snorkeling adventure comfortable, exciting, and unforgettable aboard our shaded catamaran, outfitted with a freshwater shower and concessions. 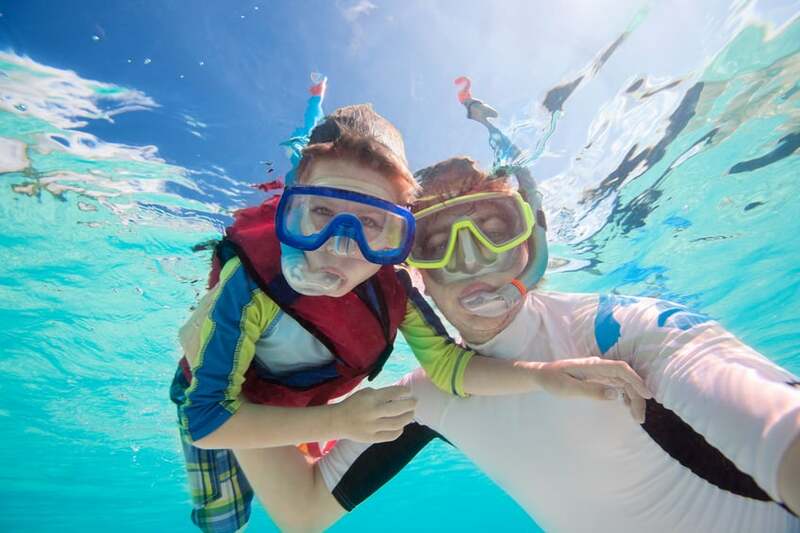 We offer a family-friendly environment suitable for all ages, and we even include your snorkeling gear. Join one of our snorkel tours in Marathon and discover one of Florida’s most hidden natural jewels. The planet’s great barrier reefs are world renowned for their colorful corals and teeming underwater wildlife. Sombrero reef is alive with activity – a submerged tropical paradise where angelfish glide among the living branches of pristine staghorn coral. Because the entire area is protected, large grouper and snapper thrive in the deep, while stingrays take wing overhead as though flying through the current. 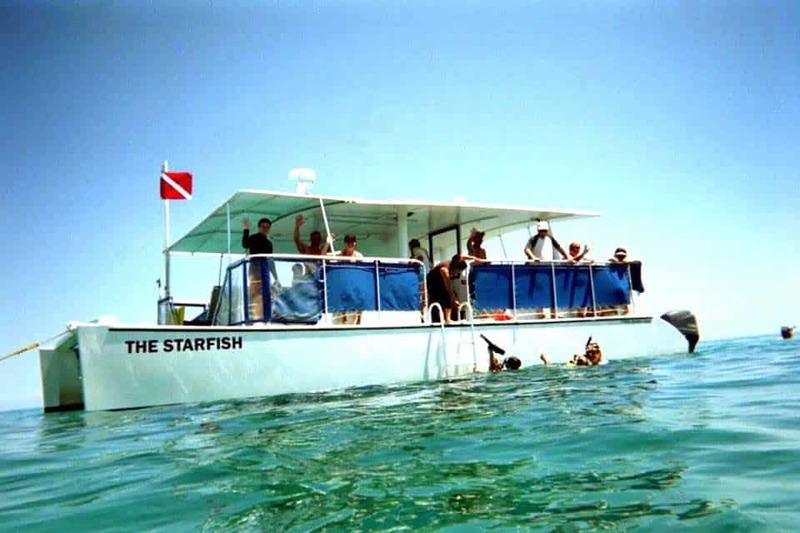 At Starfish Marathon Snorkeling Tours we place you front-and-center in the action while ensuring that your ride on our custom catamaran is safe and comfortable. We don’t allow coolers or scuba gear on our Marathon snorkel tours because we want our guests to be able to move freely on deck without worrying about falling over obstructions or stubbing their toes. Our vessel is entirely covered so everyone on board is protected from the unforgiving Florida sun. 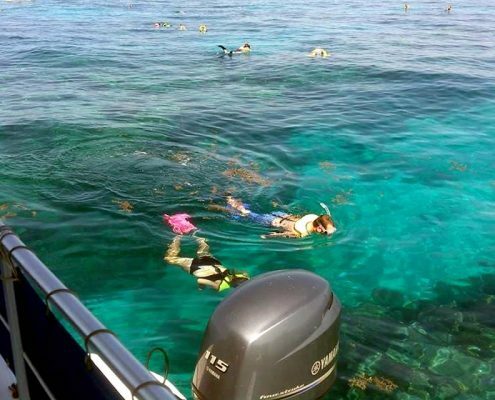 Bring your entire family on one of our fun-filled Marathon snorkel tours. See one of the planet’s most magnificent barrier reefs with your own eyes, and enjoy a wonderland of sights and sounds. People travel from all over the world to snorkel in the Florida Keys. No snorkeling destination in the region is more famous than Marathon’s own Sombrero Reef, and with good reason. The 30 acre reef is thriving, and filled with incredible coral formations and massive schools of neon-colored tropical fish. One of the reasons so many people join us on our snorkel adventures in Marathon is because Sombrero Reef is only 2 to 30 feet deep, so it can be thoroughly enjoyed without any fancy diving gear. Located in the Atlantic Ocean only six miles from Marathon’s shores, it’s easy to access and makes for an enjoyable ride where dolphins, turtles, and stingrays are often spotted en route. We keep our boat obstruction-free so all of our passengers, both large and small, can fully enjoy their Marathon snorkel adventure. We operate three snorkeling trips throughout the season, so that you can choose a time of day that best suits your lifestyle. We do not allow spray-on lotions of any kind on our Marathon snorkeling tours. The reason is because the overspray from these aerosols cause the deck to get slippery, and we don’t want an injury to ruin anyone’s snorkeling trip. 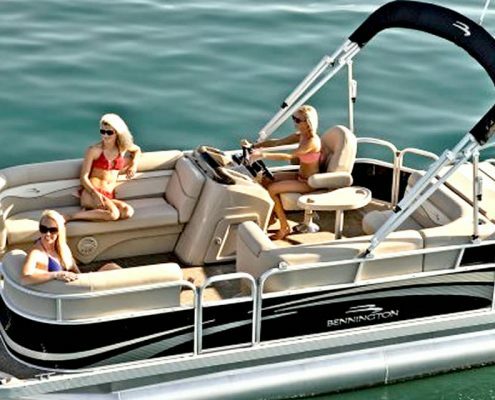 This is also why we do not allow coolers or scuba gear onboard, because we want plenty of room for adults and kids to be able to fully utilize the deck. Would You Like to Inquire about Our Specialty Cruises? While snorkeling is definitely our passion, your charter can focus on dolphin watching, a sunset cruise, or even a memorable picnic on an uninhabited island. If you have any questions about private Marathon charters, contact us to find out more information. Sometimes the weather makes it impossible to get to Sombrero Reef. When this happens, we take you to one of our other prime Marathon snorkeling destinations away from rough seas. We leave these decisions in the Captain’s competent hands. We run three snorkeling trips daily from Marathon during full season – 9am to 12pm – 1pm to 4pm – Sunset Tours (when in season). We are open year round. Located just north of the famous 7-Mile Bridge in Marathon, in the Sea Dog Charters Marina, we are eager to show you the unrivaled beauty of the reef. Alternate locations include Pirates Cove or East Sisters Rock. These are both nice, shallow snorkeling locations.